This is the playoff semifinal. These schools are meeting for the fifth time, the third time in a bowl. 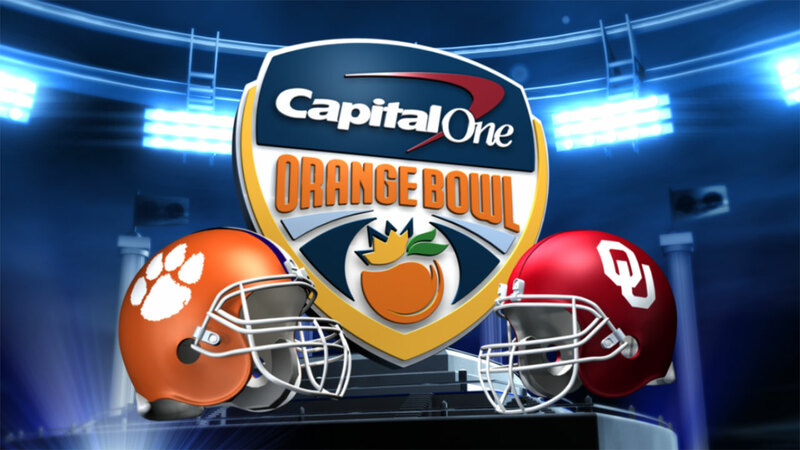 Clemson embarrassed Oklahoma in last years Russell Athletic Bowl, 40-6 (+5). This is the eight straight bowl game for the Tigers under head coach Dabo Swinney and they’re 4-3 SU/ATS. Oklahoma has been bowling all 17 years under head coach Bob Stoops and are 8-8 SU/6-10 ATS in those. When the Sooners enter the season under the radar and not ranked in the pre-season Top ten, watch out. The last two times that happened, they won a National Championship in one and finished No. 6 in the other. They returned thirteen starters and brought in new offensive coordinator Lincoln Riley to install the “Air Raid” offense and Texas Tech transfer quarterback Baker Mayfield has thrived. They started the season 4-0, but then were stunned in the “Red River Rivalry” as a 16.5 point favorite, losing 24-17 . Oklahoma then won seven straight, including back-to-back-to-back wins over the Big 12 elite of Baylor, TCU, and Oregon State, and arguably are playing the best football of any team. Oklahoma is No. 15 in the FBS, averaging 111 yards per game more then their foes allow on a average and are #5 in the FBS, allowing 115 yards per game less then their foes average. Clemson returned just three starters on defense and quarterback Deshaun Watson was coming off an ACL injury. They survived a close home game against Notre Dame, winning by two despite being minus 141 yards and then weren’t challenged again until their home game against Florida State, which they passed with flying colors. After that win, the Tigers no longer needed style points, so they won the rest of their regular season games without having to dominate. Clemson beat North Carolina in the ACC Title game, getting some help from the referees when a phantom offside penalty was called on the onside kick. They are No. 4 in the FBS, averaging 160 yards per game more then their foes allow on average and No. 9 in the FBS, holding their opponents to 101 yards per game less then they average. Watson finished third in the Heisman Trophy balloting and is a true dual threat option. Oklahoma’s offense has been on fire since the loss to Texas, as they are averaging 300 rushing yards per game and 293 passing yards per game! The Sooners are a bit of an unknown still, as they beat their strongest conference opponents all without their starting quarterbacks. Clemson should feel disrespected as a ‘dog in this game, despite being ranked No. 1, but Oklahoma typically does well in revenge games under Stoops.